IISM students have successfully established a mark for themselves in the ever evolving & growing sporting ecosystem. At IISM, students are equipped with the professional skills and proficiency necessary to lead meaningful careers within the sports industry & be a reckoning force behind its success. We understand how entrepreneurship is blooming in our country & how the start-up space in India has a phenomenal growth lying ahead. Thus as an institute, we’ve strived to become a movement that creates young heroes with the ability and agility to unfurl new prospects in the sports sector and the business that surrounds it. At IISM, we wish to transform our students from being first class management students into astute thought leaders who are ready to take on the challenges of the sports corporate world, both in India and abroad. 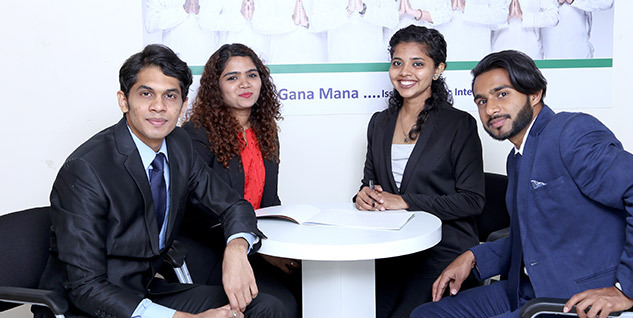 Whether it’s working on-field for managing a sporting league; or off-field involvement in planning & strategising; actively participating in research projects; or supporting live projects, our students have actively participated & contributed towards an array of projects ranging right from training programs, internships, developing research papers, & many more. IISM as an institute have created more than 700+ sports management professionals for the fast growing sports industry of India, thus playing a pivotal role in facilitating its growth. Our Alumni have worked with leading sports management organisations, corporates and federations like IMG Reliance, Mumbai City FC, OGQ, Sportz Interactive etc. and also patented some of the ventures of their own. Over the last couple of years, a lot of our students have actively worked on big sporting leagues & events such a Premier Futsal, Indian Premier League, etc. We take immense pride to have BCCI; MCA; IMG Reliance; Star Sports ; IPL ; Aditya Birla Sports ; Tata Trusts ; Sportz Consult ; Transstadia ;Total Sports and Fitness ; Tamil Thalaivas ; EduSports ; Sportz Interactive ; Rajasthan Royals as some of our esteemed recruiters. We are elated to have had our students actively contribute at various sporting events such as : IndVsSA one-dayer, International Football Forum, World Cup T20, IPL, PKL, Future Indoor Sports, National Swim Meet, Air-India Sports Club & Lion’s Club Grassroots Football Development Program, & many more amongst others. When it’s about the sports industry, it’s a lot more than “just a job” & it’s a lot more than “the love for the game”. It’s about sheer dedication, passion and hard work blended with the skill-based learning. It’s about the decision you’re taking today to create a better future for tomorrow.